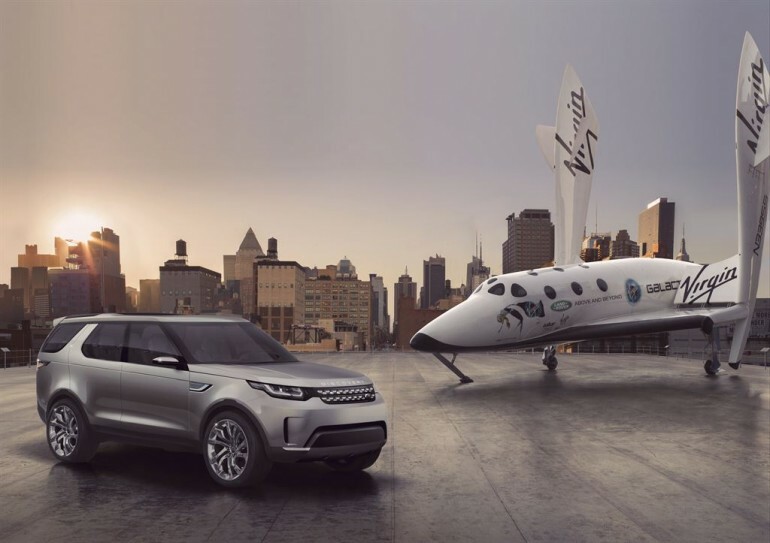 The Discovery Vision Concept was unveiled alongside a scale model of the Virgin Galactic spacecraft at a spectacular event aboard the USS Intrepid – a sea, air and space experience centre – in Manhattan, a day ahead of the opening of the New York Auto Show 2014. 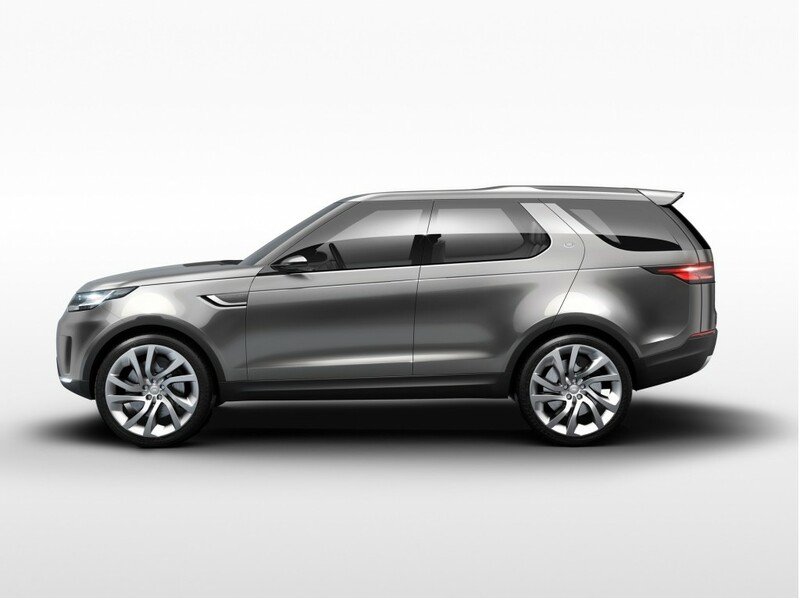 One of the remaining Land Rover vehicles to receive an update to match its siblings is the Discovery. 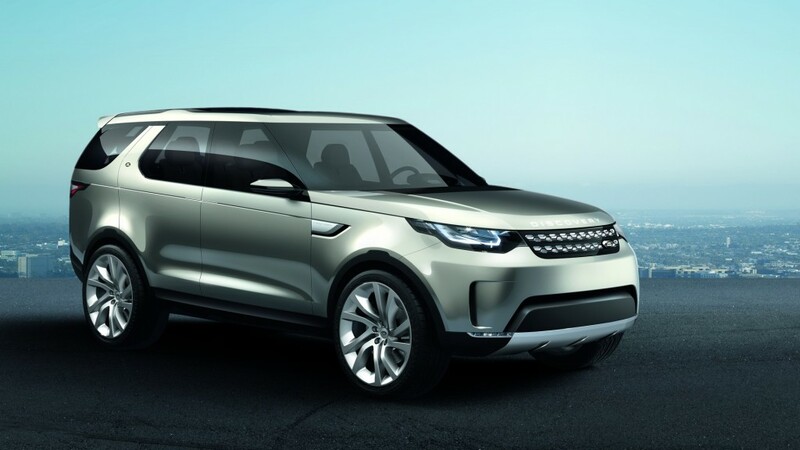 It looks as if Land Rover is playing it smart with the design and saving face with a design similar to the Range Rover and Evoque, which you will see in the new Discovery Concept here. 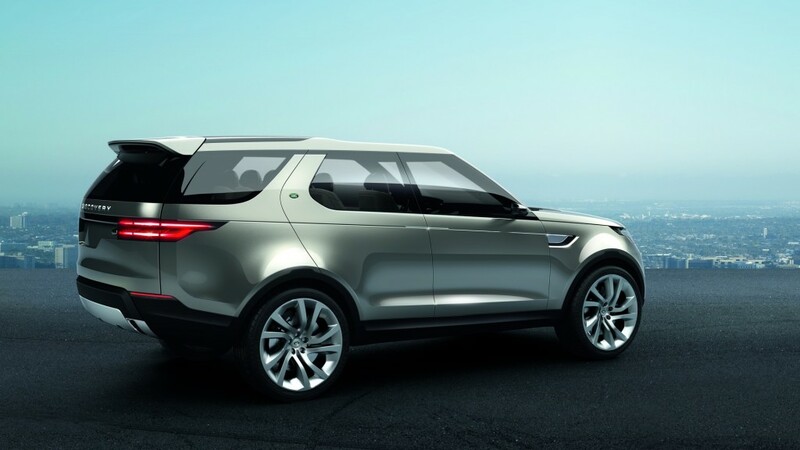 The new Land Rover Discovery Vision Concept is a glance at what is to come with the all-new Discovery sharing that familiar design language in the rest of the Land Rover line of vehicles. Landing at the edge of technology, literally, the Discovery is to feature laser headlights, remote piloting via tablets or smartphones, and smart glass that projects information much like an LCD screen. Talking about futuristic – it is here. 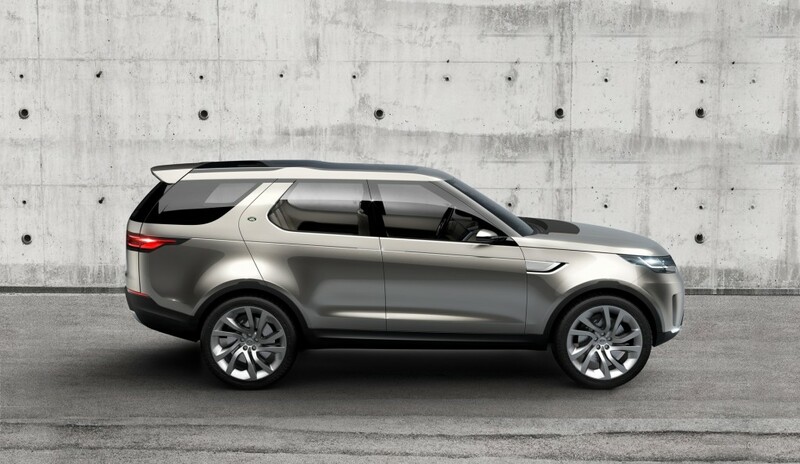 The Land Rover Discovery Vision Concept will be on display later this week at the 2014 New York Auto Show. Discovery Vision Concept revealed ahead of New York Auto Show 2014. 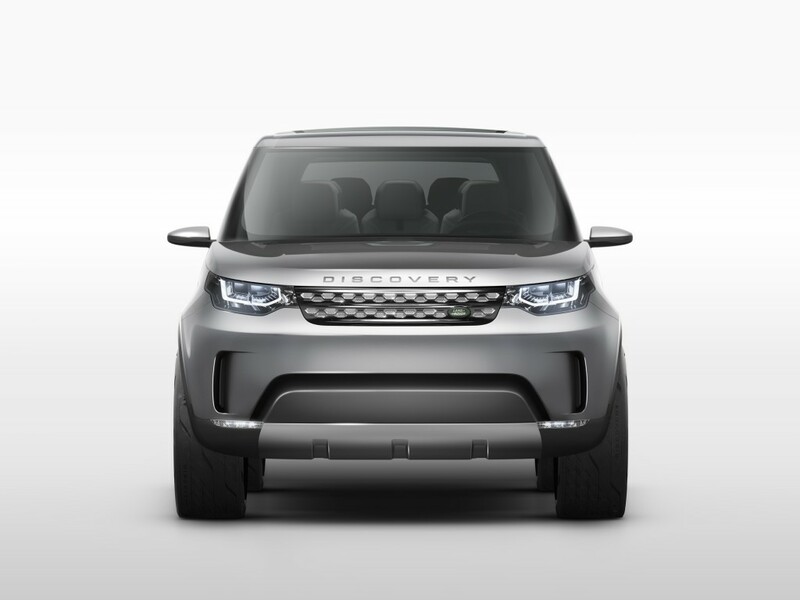 Showcases the modern design language of the future Discovery family. 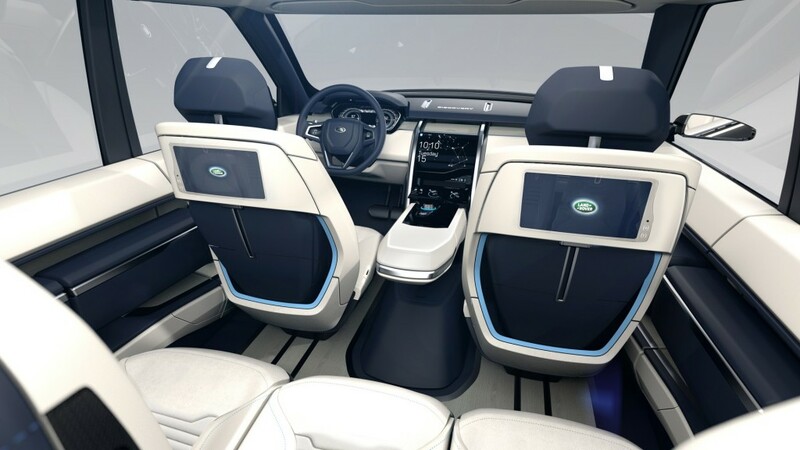 Pioneering Jaguar Land Rover research technologies feature, including smart glass, intelligent laser headlamps and gesture control. Previews future Terrain Response system with Remote Control Drive, Laser Terrain Scanning and Transparent Bonnet head-up display. Highly versatile, with innovative fold-and-slide configurable seating system for seven people, deployable event platform and social bench. 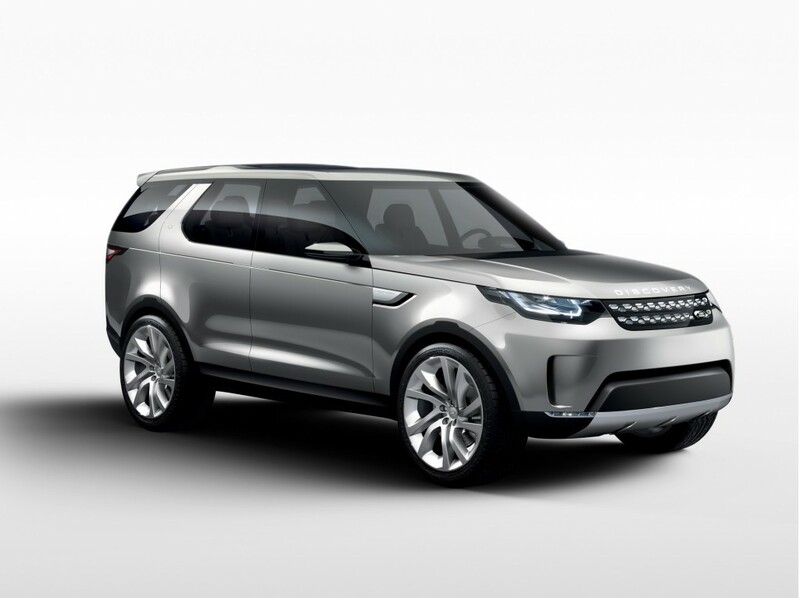 Land Rover today revealed its Discovery Vision Concept SUV in New York. 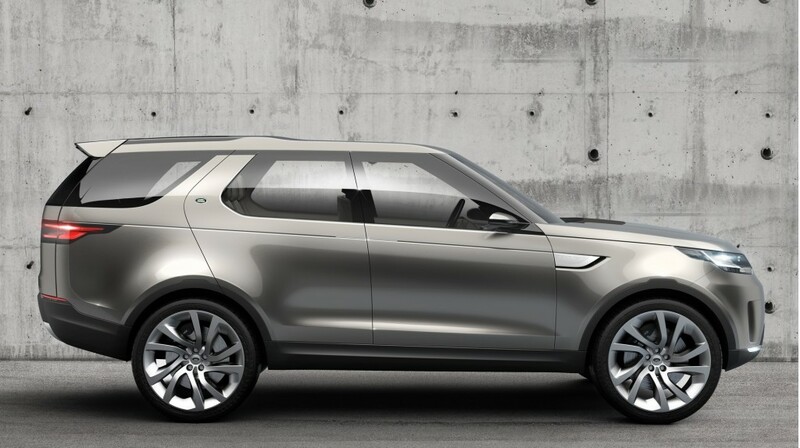 It is a vision of Land Rover’s future family of Discovery vehicles, the first model of which is due in 2015. 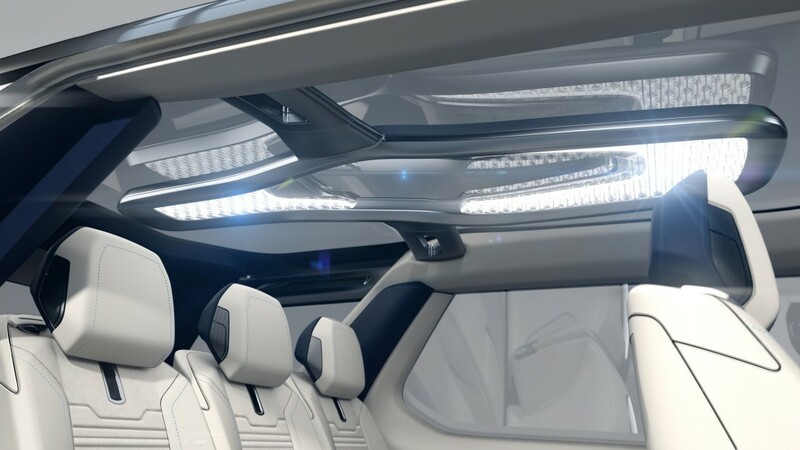 The concept car previews dynamic new design language and an array of innovative versatility and capability features, while also showcasing pioneering technologies from Jaguar Land Rover’s advanced research division. 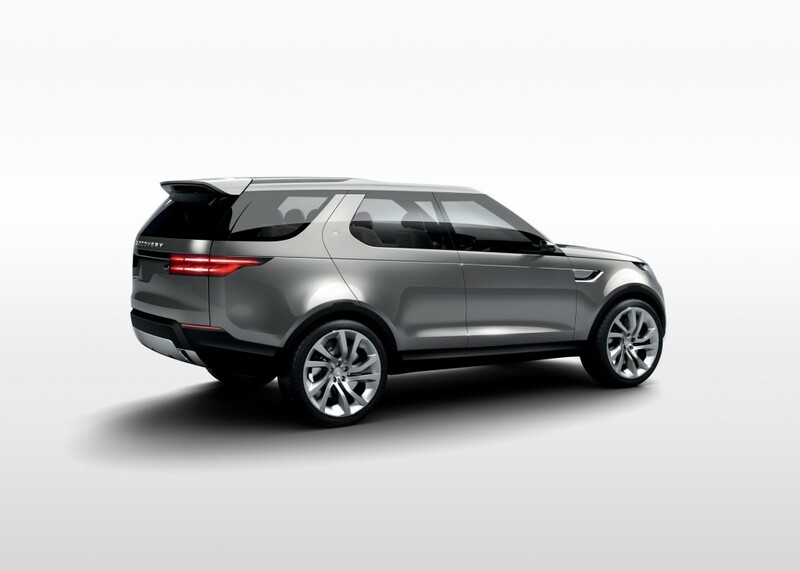 With the Discovery poised to transition from a single model to a new family of vehicles which will redefine the leisure SUV category, the Discovery Vision Concept offers an exciting preview of Land Rover’s vision for the range, and the modern, premium design language of future models. 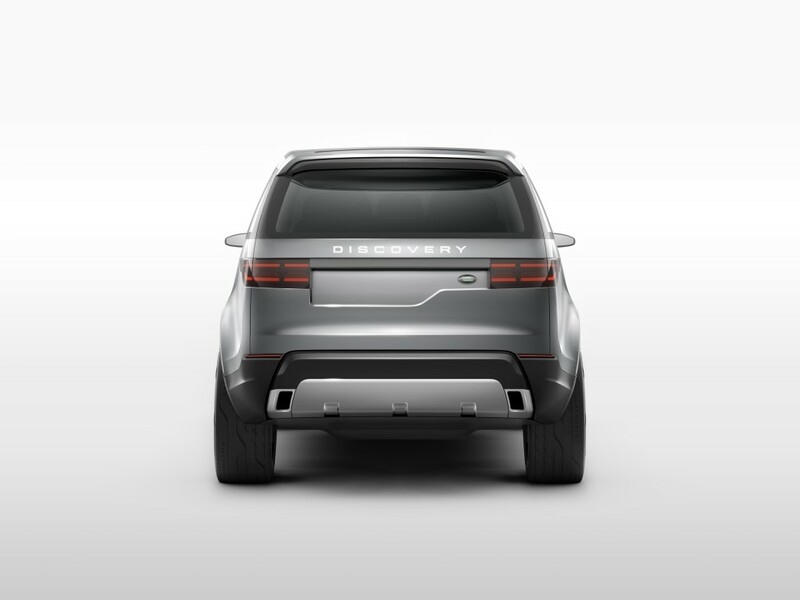 The Discovery Vision Concept alludes to its unique lineage with design elements such as the stepped roof and alpine lights. Far greater attention than ever before has been given to creating relevant versatility combined with compelling design. This is a radical and sharply focused approach to embodying Land Rover’s vision of the ultimate leisure SUV. 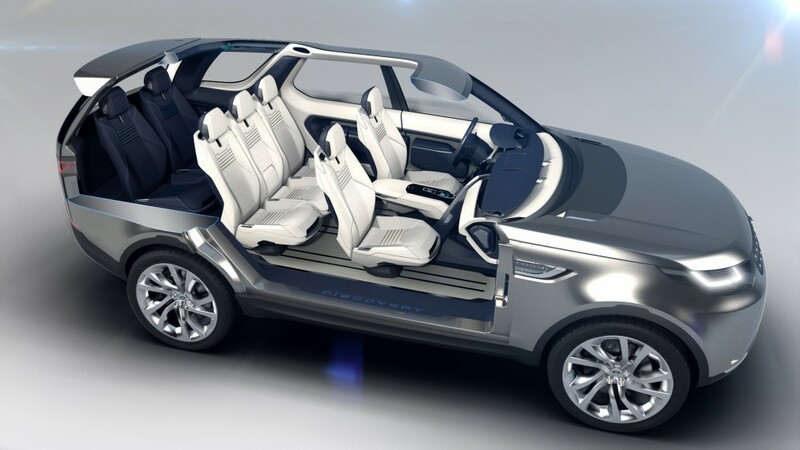 The advanced interior is both spacious and versatile with a whole array of innovative features; this multi-lifestyle versatility is epitomized by highly reconfigurable seating. By folding the seats flat or sliding them forward or back, via the touchscreen menu, the vehicle can be converted from its standard seven-seat layout to a six-seat, five-seat or even a four-seat ‘limousine’ mode. Detachable, carry-away stroller-style luggage is seamlessly integrated into the vehicle doors, while accessories cleverly integrated into the seatbacks offer high levels of convenience to the passengers seated behind. A versatile evolution of the Discovery’s tailgate incorporates a powered, single-piece design; in conjunction with a deployable rear sill step and a folding bench seat in the loading area, it creates a flexible event platform with social seating for active lifestyles. On its own, the sill step can also be fitted with a bike/ski rack. 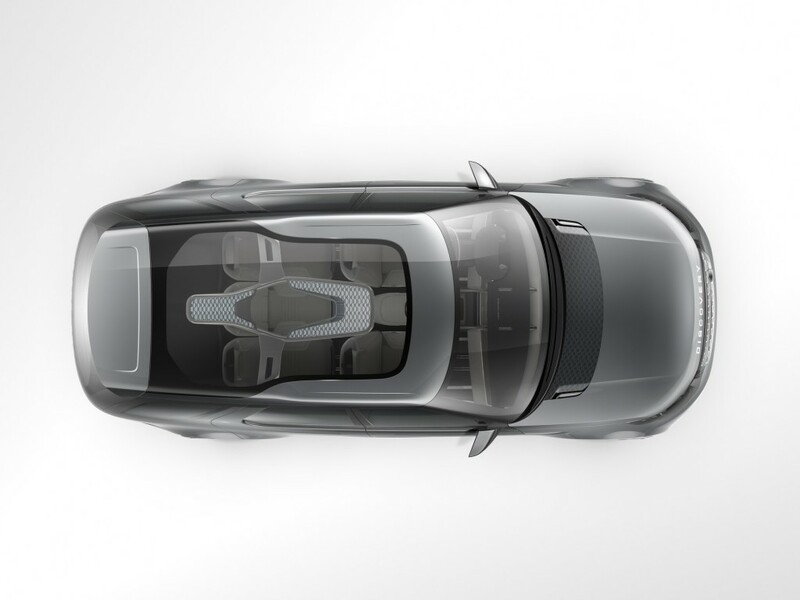 The theme of versatility continues with the materials used in the Discovery Vision Concept interior. The cabin is finished in two innovative types of washable and water- and oil-repellent Foglizzo premium leather that can be cleaned in seconds. Wood veneer on the floors and instrument panel and bespoke accessories lined in Harris Tweed help to create a warm, uniquely British feeling of quality and craftsmanship. Next-generation Human-Machine Interface (HMI) technology creates a rich and truly immersive multimedia experience for all occupants, including video calls between passengers through the seatback infotainment screens, Smart Glass bringing the power of augmented reality to the entire glasshouse, and various functions, including the doors, indicators, headlamps and seatback screens, operated by Gesture Control. Remote Control Drive enables the driver to manoeuvre the car at very low speed while not actually seated inside it. Remote Control Drive has various useful applications both on- and off-road, from coupling a trailer, to external spotting during extreme off-roading. Visibility is greatly enhanced in all conditions with the powerful, day-like light of the laser headlamps, which feature intelligent object tracking and beam-dipping to improve driver safety. Navigating tight gaps is made easy with the visual assistance of Laser Referencing, which utilises visible lasers to project markings, symbols and imagery onto ground surfaces. 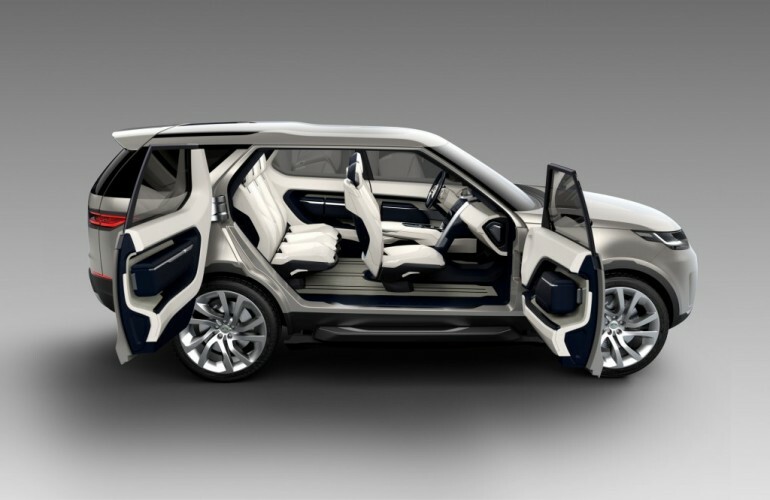 Advanced technologies under development make their debut on the Discovery Vision Concept, taking SUV capability to the next level. 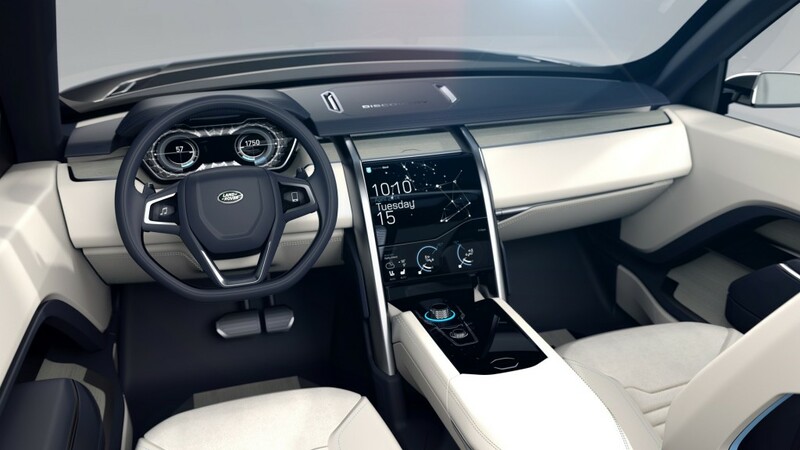 Land Rover’s vision of next-generation Terrain Response is a system that can proactively utilise a variety of intelligent HMI and capability technologies, giving the driver the confidence to tackle virtually any terrain with ease. The innovative Transparent Bonnet head-up display system offers an unimpeded view of the ground immediately ahead, greatly enhancing driver ability and confidence. Cameras fitted below the grille are paired with the Head-Up Display integrated into the windscreen. While traversing challenging terrain, the imagery can be projected onto the windscreen, so that it appears as if the vehicle’s bonnet is, in effect, transparent. Laser Terrain Scanning utilises infrared lasers emitted from the front fog-lamps to continuously scan the terrain being traversed, and renders a contour map on the high-definition instrument cluster display. This mapping can be paired with the All-Terrain Coach guidance system to chart out a path and assist the driver in navigating it. Lasers are also used by the next-generation Wade Aid sensory system to measure the depth of water even before the car enters it, and inform the driver of the feasibility of the intended wading manoeuvre. All-Terrain Progress Control enables semi-autonomous off-road driving at a steady speed across varying terrain. Altogether, these technologies ensure that the Discovery Vision Concept not only honours Land Rover’s ethos of all-terrain capability, but takes it to a whole new dimension.